While most social media apps tend to focus on doing one thing really well, WeChat is a one-stop shop. It gives users the ability to do almost everything from e-commerce and social networking, to banking and travel bookings. Due to its enormous user base and the way in which it is embedded in people’s daily lives, it is one of the best mediums to reach Chinese consumers not just in China, but in the U.S., as well. As the most popular social media app in China, WeChat is still considered a newcomer in the U.S. digital advertising world. While the seasoned pros can easily present plenty of their success stories and campaigns on local app such as Facebook and Twitter, not as many can say the same with WeChat. Rain Li, who is the head of media at APartnership, has years of experience in multicultural advertising. Having created a long list of successful WeChat campaigns targeting Asian American consumers, she has plenty to share about how companies in the U.S. can leverage this powerful, robust app. Q: Can you tell us more about WeChat’s parent company Tencent? A: Tencent is one of the top 3 largest, fastest-growing tech companies in China, the other two companies are Baidu and Alibaba. It has built two of the most dominant social media brands: WeChat and QQ, and has successfully turned its assets into a diverse online eco-system. The company is currently one of the leaders in mobile gaming, online/mobile payment, and e-commerce. Q: For someone who doesn’t know much about WeChat, how would you describe it? A: It’s a super-app, packed with multiple functions, including instant messaging, social networking, online-payment, e-commerce, and even car-sharing. It was originally only a free instant messenger app when it was created in 2011. Since then, it’s been tweaked and improved. It is so popular that it has completely integrated into Chinese daily life. It’s more than just an app. It is an entire online eco-system with such great potential for any company wishing to reach Chinese consumers, or to expand its business in China. Q: Why do you think WeChat grew so fast in popularity? A: The most obvious reason is that Tencent is based in China, so WeChat has access to the mass market. It is also simply a high-quality app. It is extremely user-friendly. Since 2011, the WeChat team has kept up with the needs of its users, and continued to improve the app by adding new functions. People can’t live without WeChat now because it does make things so much more convenient. Q: What led to WeChat’s evolution from a strictly messenger platform to what it is now? The market is highly competitive in China, so in order stay ahead, Tencent always tries to improve the app and add more functions. The turning point was probably in 2014, when the company introduced WeChat Payment during the Lunar New Year. It was originally a feature introduced as virtual “red envelopes”. During Lunar New Year, red packets of money are traditionally given to friends and family. A month later, WeChat Payment’s user base expanded from 30 million to 100 million users. It was such a runaway success that it began to threaten its rival Alibaba’s position as the leading online payment portal. Q: Why use WeChat to target Chinese consumers in the U.S.? The interface of WeChat is designed in such a way that it creates user dependency and therefore the customers are extremely loyal. There are Chinese consumers who travel to the U.S., and international students or Chinese immigrants moving to North America. So it’s a smart move to push promotions to these users, because they are still very actively using the app even when they are outside China. 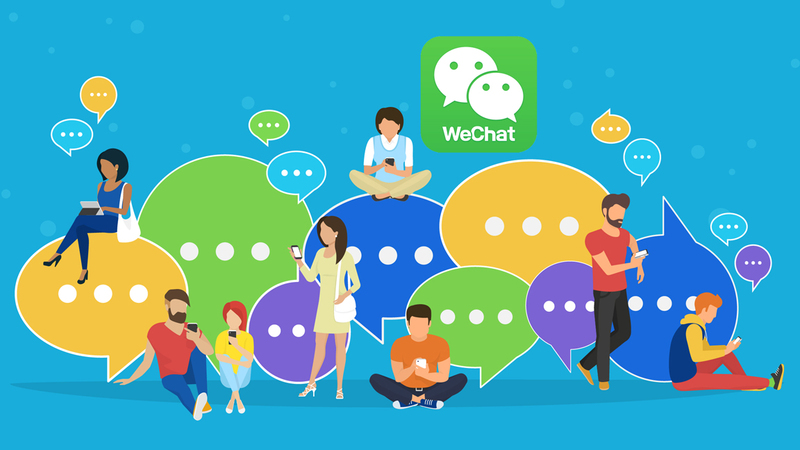 In the next part of this blog post, we will explore the reasons why WeChat is relevant to U.S. marketers!